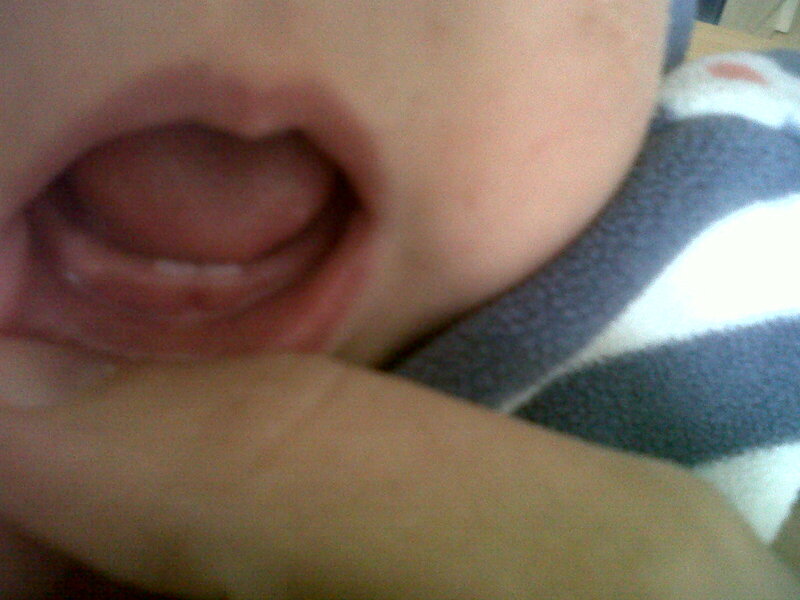 Miriam grew some teeth (they are bigger than this now as the photo was taken only a day or so after they first made an appearance). 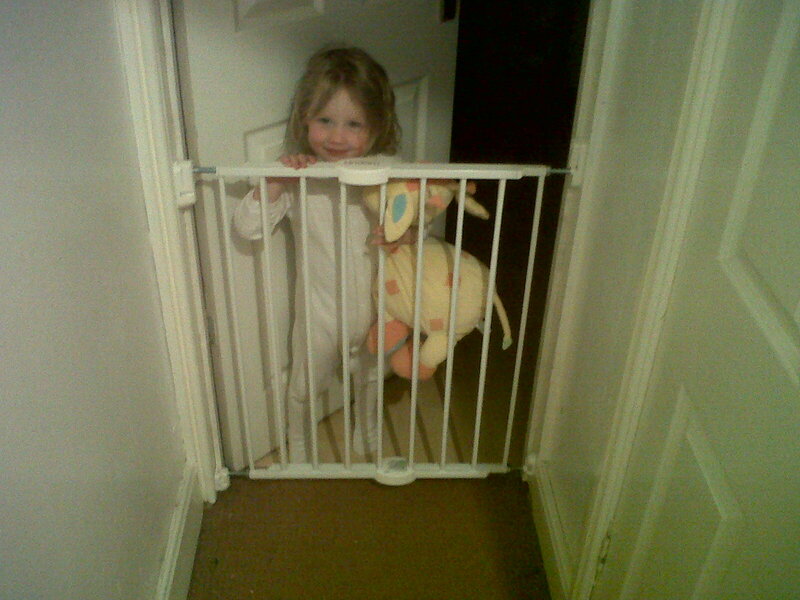 They are being well used for eating food, which is to be approved of, and chewing people which is less desirable. Then Naomi grew another tooth, she is now the proud owner of one of her back molars, I haven't included a photo as it is hard to get a clear photo of something so far inside the mouth! 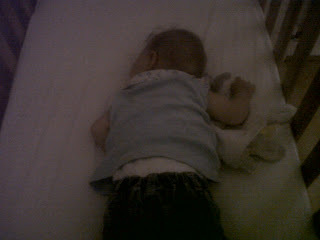 One of the big changes in the house is that Naomi has decided she is a big girl now and doesn't wear nappies any more! We are only a few days into this so might decide it isn't working out but she seems to slowly be getting the hang of what she needs to do. 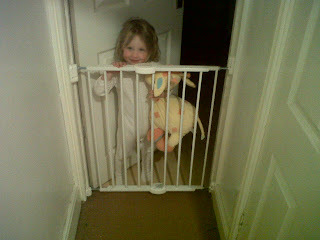 The big problem seems to be that you need to stop playing/reading/eating/running/climbing in order to sit on the potty! 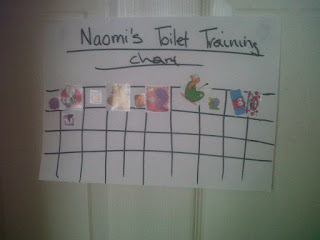 For obvious reasons I won't include a photo of Naomi on the potty but here you can see her sticker chart, she loves this! 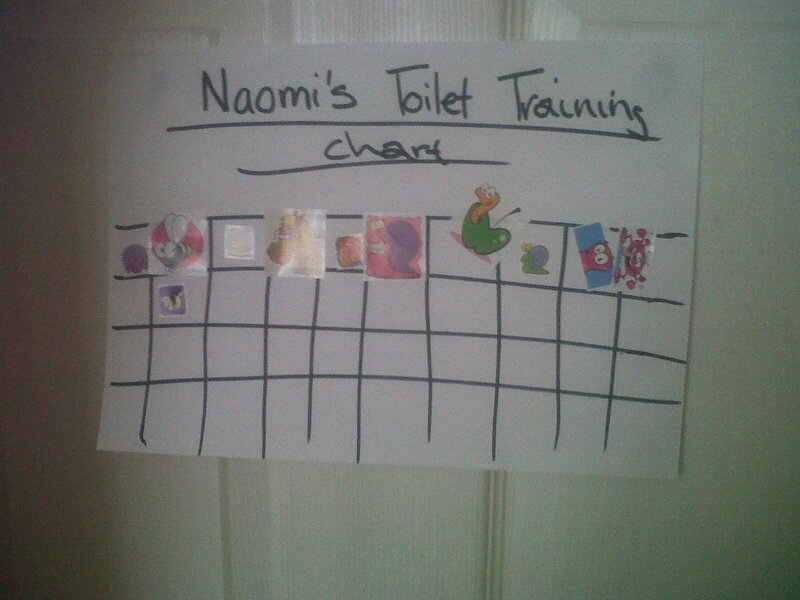 Every time she successfully uses the potty she is rewarded with a sticker and when she gets to the end of a row she gets to have a chocolate biscuit! 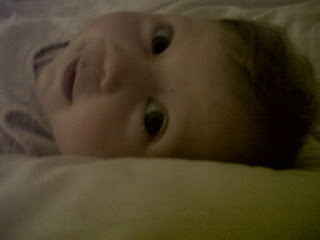 Naomi, being two, likes things to be a particular way and the things she want things to be aren't always that obvious. 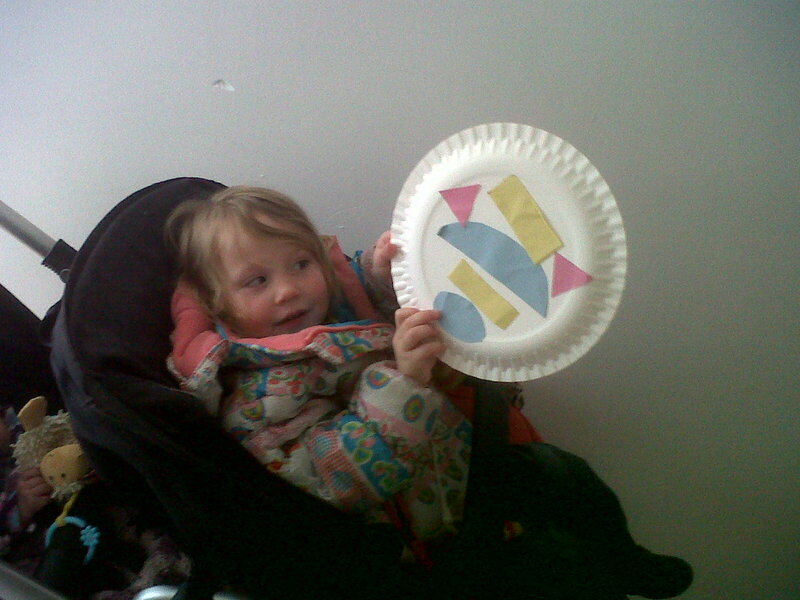 One day last week she point blank refused to leave the house unless I let her take with us this decorated paper plate (I kid you not!). And finally, I got this photo of Miriam yesterday morning, how beautiful?